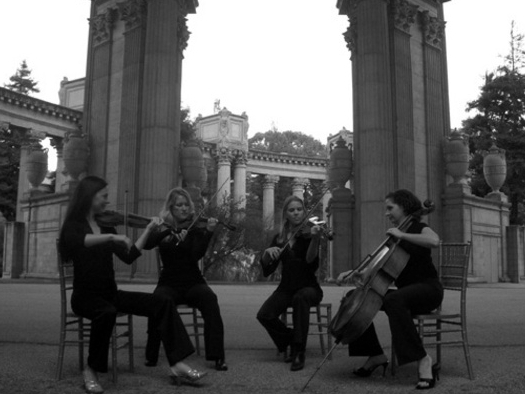 SYNCHRONICITY is available to perform as a string quartet, trio, duo, solo violin, viola or cello. You choose the ensemble that best suits the needs of your special event. Our extensive repertoire allows us to create the musical atmosphere that perfectly suits your event. Generally we perform acoustic, without amplification. However, using our discreet clip on microphones and PA system SYNCHRONICITY can cope with large venues, or outdoor performances. The microphones offer superb sound quality and are visually very discreet with no untidy microphone stands. We carefully adjust the volume to suit the venue and occasion.